Sheer beauty! 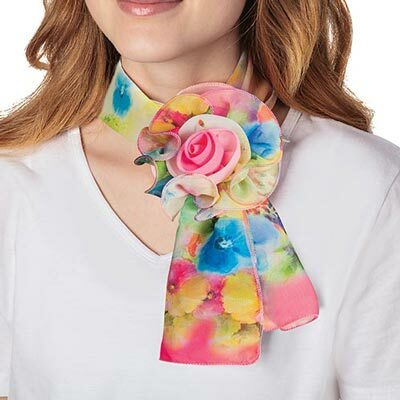 Soft to the touch and oh, so pretty, our lovely and versatile Brilliant Blooms Rosette Scarf features soft hues and rosette detail. Wear the scarf with the clip-on rosette or wear separately to create different looks. Polyester. Imported. Scarf 28"l; Rosette 4&12;" dia.